Schmidt Ocean Institute seeks to advance ocean research through the use of cutting edge technologies and infrastructure. 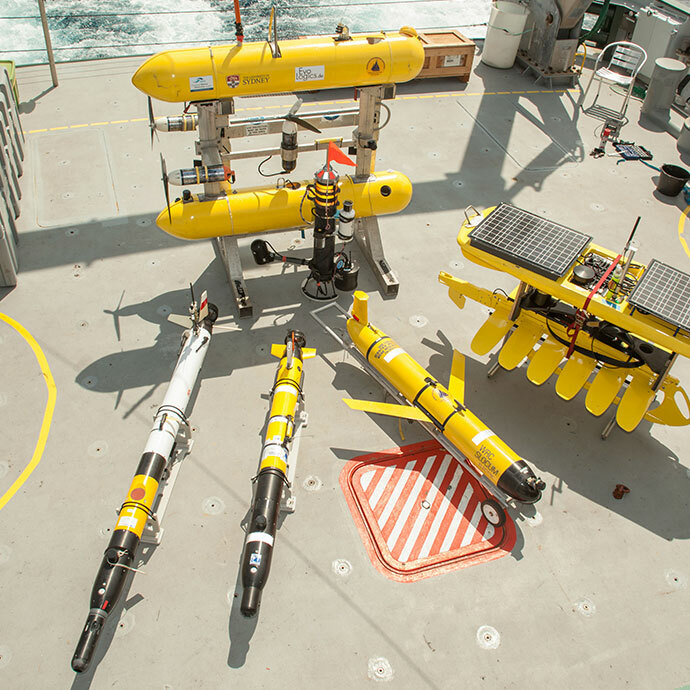 Our current plans to build robotic platforms for exclusive use on R/V Falkor is a great example of this effort, which includes the creation of a 4500 m Remotely Operated Vehicle (ROV). Picture an underwater elevator with the ground floor almost seven miles below the ocean surface. 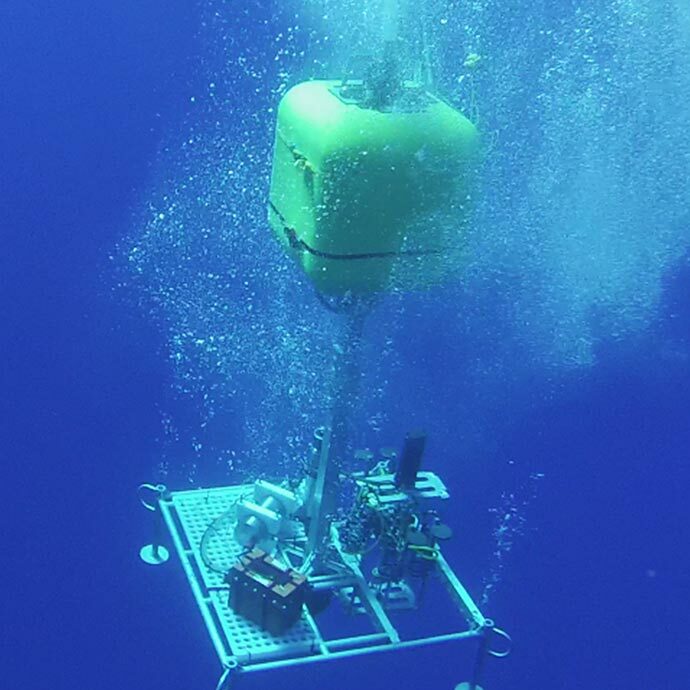 Schmidt Ocean Institute has built a deep ocean lander or “underwater elevator” capable of reaching full ocean depth, 11,000 meters below the surface. The lander is designed for deployment from R/V Falkor in tandem with our robotic systems. R/V Falkor’s scientific echosounders and multibeam mapping system is optimized for producing high-resolution seafloor images down to depths of 8,000 meters. Collectively, the optimized depth ranges of the systems onboard encompass about 90 percent of the world’s seafloor. 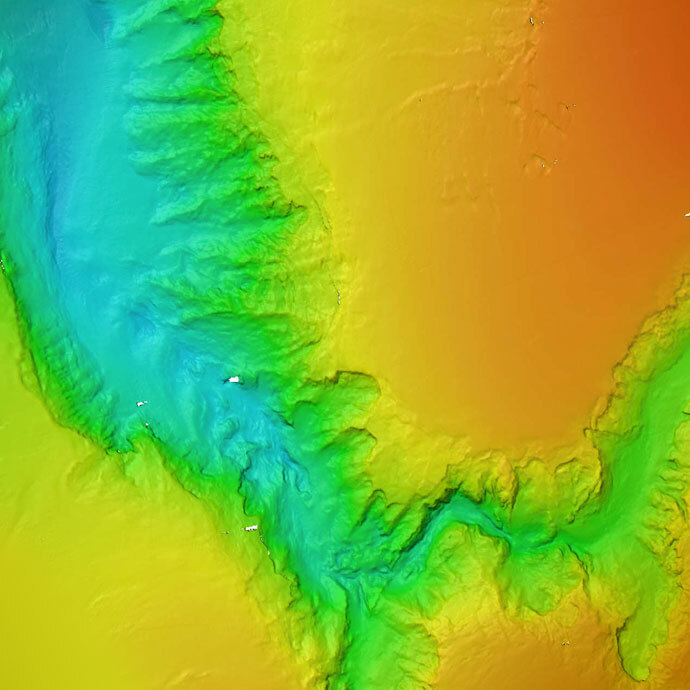 Falkor’s multibeam and echo sounder system has mapped a quarter of a million square kilometers of ocean floor since 2014, an area larger than the state of California. We have even discovered several new seamounts. R/V Falkor is the first research vessel with a high-performance cloud computing system that enables data storage and processing capabilities never before available to scientists at sea. 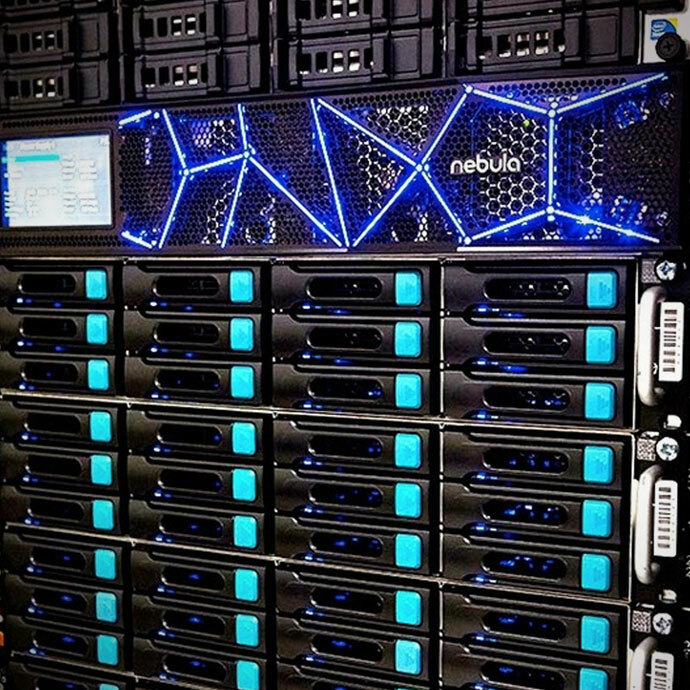 This system provides collaborating scientists with self-service access to multiple high-performance computer processors and storage. Despite the system’s compact size, it can provide hundreds of terabytes of storage memory, and a hundred or more central processing units, or cores, to multiple on-board science teams. This will give scientists the combined power, speed and memory of 45 or more laptops acting in unison. One of Falkor’s most useful tools is internet access made possible by a satellite connection. 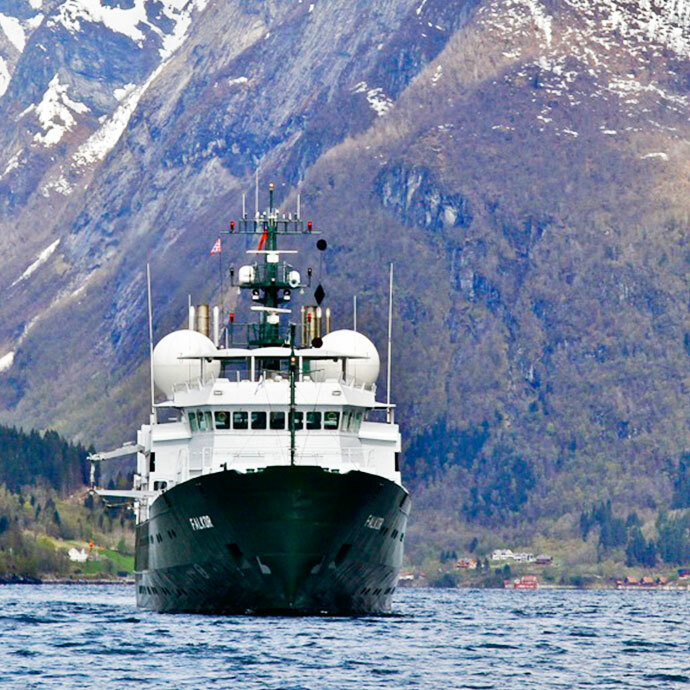 High above Falkor’s decks is a VSAT system that enable internet at sea. The ship also has 15 Virtual Local Area Networks (VLAN) for different use, so that each mission can have the appropriate amount of dedicated bandwidth for activities such as live-streaming ROV dives and ship to shore connections. Schmidt Ocean Institute supports open sharing of information about the ocean to stimulate the growth of its applications and user community, and amplify further exploration, discovery, and deeper understanding of our environment. 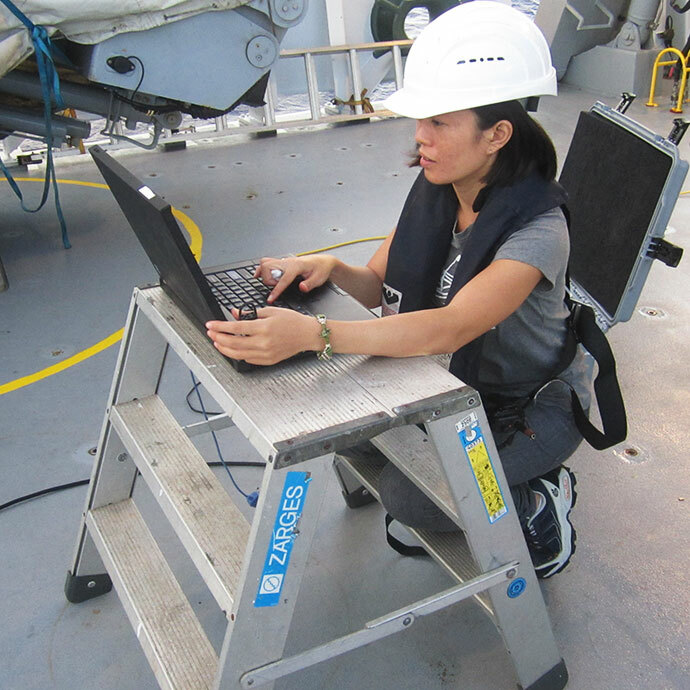 These efforts are supported through partnerships with data management experts in the oceanographic community to enable standards-compliant sharing of scientific information and data collected during research cruises.